ON ANGER: I think so many of us have been shut off from our anger. I think most women and non-men have been not allowed to express anger in a way that is healthy, in a way that we get to show the full-range of ourselves, and so we have wounding around that. I don’t think men have been taught to express anger in a healthy way either, but i know for myself i was raised to be the good girl and anger just wasn’t an acceptable emotion. It had to be submitted into something else, and i think that runs rampant in the spiritual community. It’s often identified as shadow and bad and something that we need to rise about and get to the light and stay in the light, but there’s a real need for validation of beauty and power in anger. It’s something that I think a lot of people, especially those who hold white privilege, need to be comfortable in their own anger. Because until they are comfortable in their own anger, they cannot be with a black women, a black femme, a woman of color, an indigenous woman when they are angry. ON BOUNDARIES: I don’t do this work to serve white people. I do this work because white supremacy and racism is a violence that has killed, abused, and hurt black people include myself and people of color and indigenous people. I do the work first for me because i love myself and i want to live in world where i am not harmed, i am not dehumanized, i am not treated lesser than. I do it for my children and my family. I do it for my friends, my sisters, and i do it for the black, indigenous, and people of color in spaces and societies where they are dehumanized because of racism. I get what’s in the cup, you get what comes from the overflow. 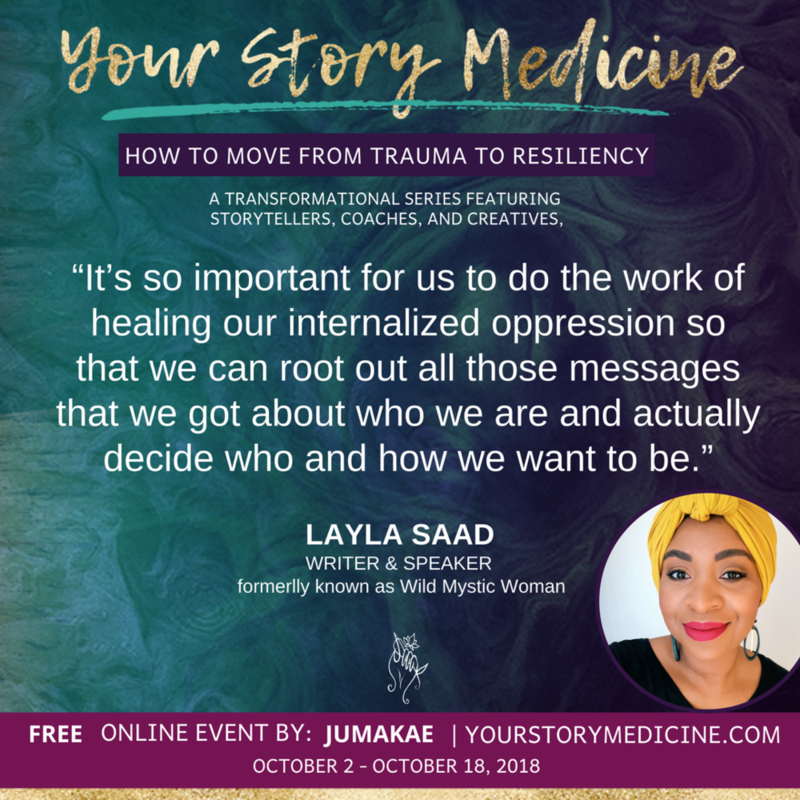 Layla Saad is a writer and speaker, and a black feminist advocate for racial justice. She is the founder of the site Wild Mystic Woman, and the host of the Wild Mystic Woman Podcast. Layla leads conversations at the intersections of race, spirituality, feminism and leadership.